Originally from the San Francisco Bay Area, Matthew Bourbon earned separate undergraduate degrees in Studio Art and Art History from the University of California at Davis. 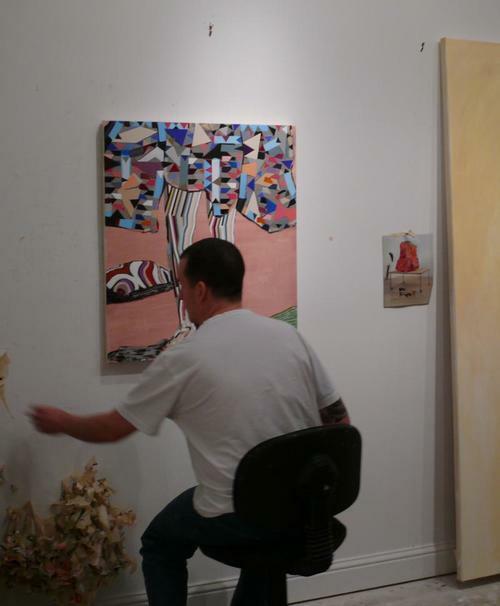 Relocating to New York City, he took his Masters of Fine Arts degree from the School of Visual Arts in 1999. Since then, his art has been exhibited nationally and internationally. Bourbon is a Professor of Art at the University of North Texas' College of Visual Arts and Design. He is also an active art critic contributing to Artforum, Flash Art, ArtNews, New York Arts Magazine, Dallas Morning News, and KERA Art and Seek.